Floyd's Fork Water Quality Treatment Center — Cornerstone Engineering, Inc. CONTRACTOR: MAC Construction & Excavating, Inc. 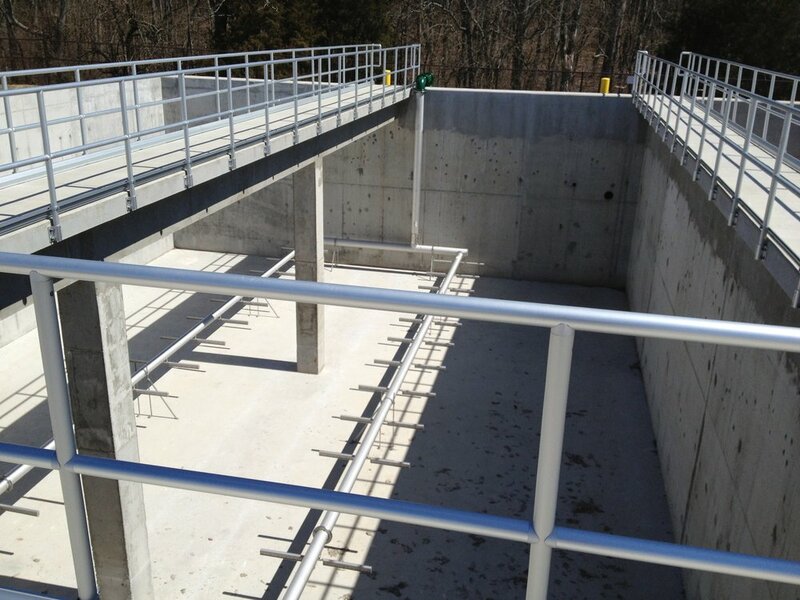 The Floyd’s Fork Water Quality Treatment Center - Phase 2 Expansion project consisted of several new wastewater treatment structures including three secondary clarifiers, sludge holding tanks, grit basin and a UV filtration building. Cornerstone was responsible for the structural design of all reinforced concrete sub-grade structures, site retaining walls, and the UV filtration and electrical building. Cornerstone was also responsible for the architectural design of the electrical and UV filtration buildings. High ground water conditions on-site required the design of a pressure relief system for each clarifier to prevent flotation. With the exception of the two CMU buildings, all structures were constructed mostly below grade with some reaching depths of over 20 ft. All waste/ storm water containment structures onsite were designed per ACI 350 code.